The H2 Series BE (Basic Economy) is a non-illuminated sign system. It can be single sided or double sided with graphics on both. It's economical, affordable and aesthetically pleasing. Suited for exterior environments. 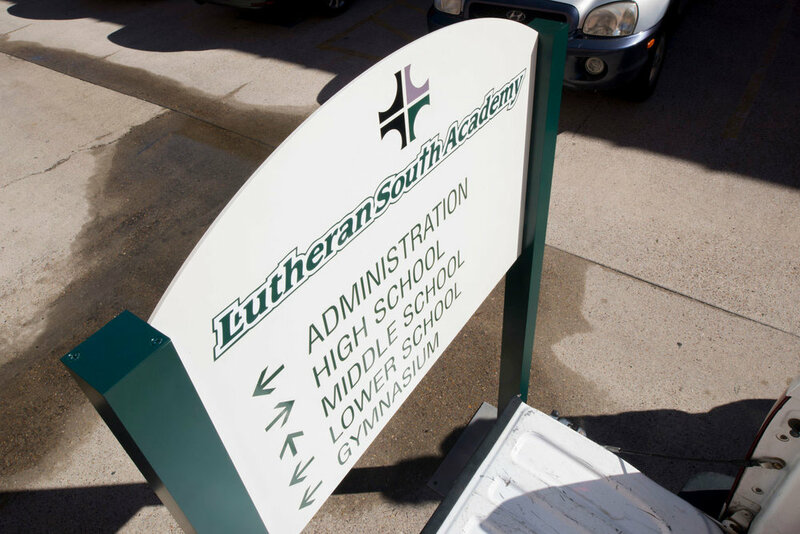 Sign panels are fabricated with a single blade 1/4” aluminum alloy 5052 and structural alloy 6063-T52 post. The H2 Series 2 is a non-illuminated sign system. Economically affordable and aesthetically pleasing, it is ideally suited for exterior environments. Fabricated from aluminum sign panels (alloy 5052, 1/8” thick) in a dimensional framed bleed body format exhibiting a seamless body and composite welded to an internal structural frame. Structural post alloy 6063-T52. Available with single or double-sided graphics. The H2 Series 3, our most popular wayfinding system and design utilizes the same profile as series 2 with the option of square (3” x 3”) or rectangular (1-3/4” x 3”) structural post ideally suited for educational facilities, healthcare, government and hospitality facilities. Series 3.25 is our most versatile sign system. The designer can choose from several aluminum post options including round and half round as well as three internal reveal positions; flush, 3/8” and 3/4”. Sign panels are fabricated from aluminum alloy 5052, 1/8” exhibiting a seamless body and alloy 6063-T52 structural post. Available with single or double-sided graphics. This heavy duty system in engineered to meet a 130 mph wind load. 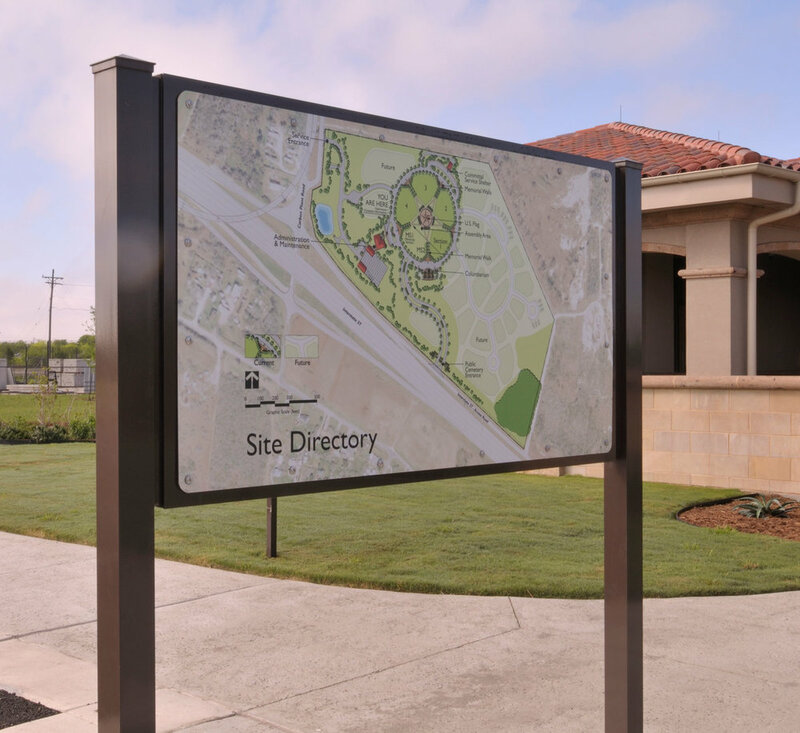 Our aluminum post and panel signs are perfect for corporate and site identification or can serve as a wayfinding solution. 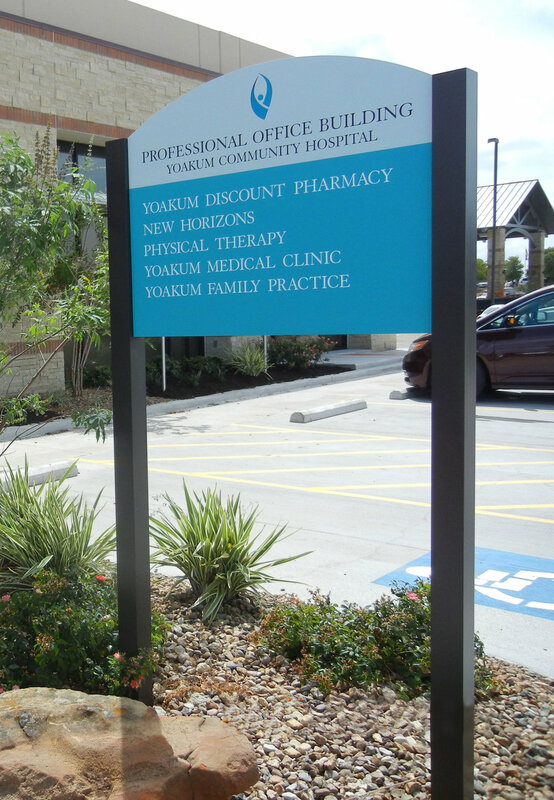 Signs can be customized with paint color, post shapes, panel shapes, decorative end caps and scrolls. CCSW is known for its ability to transform an idea into reality. 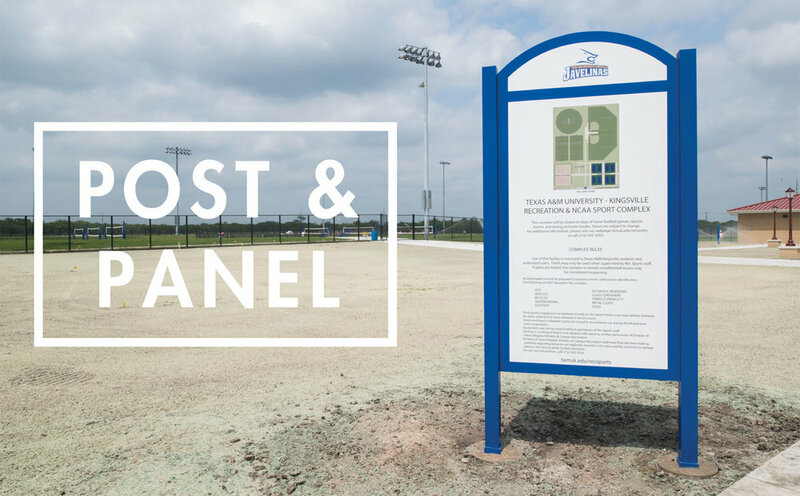 Below is an example of a custom post and panel system designed for the University of Texas at Brownsville, Texas. This system features machined decorative brackets and mounting bars for a unique and elegant look. Panels are mounted on the outside of the bars. Available as a single post or standard double post, with or without decorative scroll work.